Would you like to take advantage of the exceptional exposure opportunity that Dag van de Webshop (Day of the Webshop) can provide to your web store? Do not hesitate any longer and register your web store now. Just make sure you can handle the rush of customers! 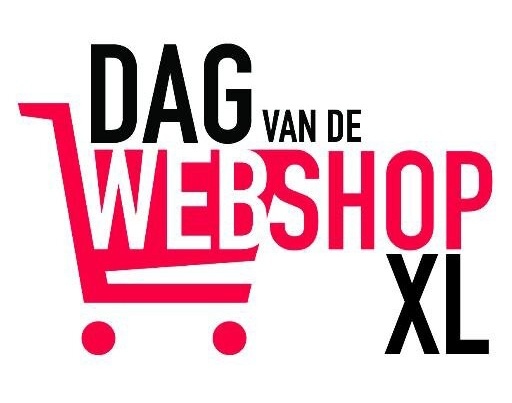 For the fifth year in a row, Dag van de Webshop will start in early November. And, as was the case in the previous edition, the event will once again be held over 3 days (5, 6 and 7 November). The range of web stores is indeed so wide, the variety of products so great, and the articles so funny and original, that it is impossible for users to visit all the stores in just one day! Many web stores show significant interest in this event, which is sponsored by Combell and organised in collaboration with (among other partners) sector associations Comeos, BeCommerce and Safeshops. For renowned chains such as A.S. Adventure or Gamma, this is an ideal opportunity to put the spotlight on their online range. Everybody knows their brick and mortar stores, but the general public is usually unaware of the existence of their online stores. Large web stores like Bol.com will also join the event. And for smaller independent web merchants, this joint initiative is an excellent way to display their alternative and original products. Lingerie, seductive and luxurious: famous names like Pabo.be and Hunkemöller, but also Jovos, Sumbliem Lingerie, Ohlala, MyUnderwear24 and LingerieMarie. Clothing and fashion accessories: major brands such as Bel&Bo, ZEB and E5Mode, in addition to original SMEs, like the fashion house from West Flanders Deleye, and the original gadgets offered by Zsa-Zsa. Toys, for kids: Dreamland’s very large assortment, or the durable range of toys supplied by Speelgoed Kiki, De Speelvogel and Sil & Sander (among others). Clothes for little boys and girls: Baba Babywear, De Boomhut, Meneer Snor, and many other web stores that sell alternative and original items. Do you want to participate in this event with your web store? Register your web store now so that you do not miss this unique opportunity to put a spotlight on your products and services, along with other very funny and original web stores. Be careful though, as you need to come up with a unique range, which will only be available during this 3-day event. Users who want to be informed about your special range can leave their e-mail address. Then, as soon as the products/services are available for sale online, a few days before the event, users will be notified via e-mail about your surprise! We wish all participating stores every success with this event, and wish shoppers the best of luck with their shopping marathon!